At first glance, the aircraft in this video is attempting a take off. It appears at the point of rotation, its nosewheel rising off the ground and into the takeoff attitude. There is sufficient airflow across its wings to generate the lift necessary. To. Become. Airborne…well, almost. Something is very wrong! This airplane is not speeding down a runway about to take flight; in fact, it is basically powerless to move at all – it has no engines! Without power, an airplane simply cannot fly. On its own, it is unable to overcome the forces of gravity (acting to ground it, opposing lift) or drag (resistance, opposing thrust). The “classic” Boeing 747-300 in this video would typically generate over 200,000 pounds of thrust from its four turbofan engines, capable of a maximum gross takeoff weight (MGTOW) of over 400 tons. Despite looking pretty good from the outside, this airplane is effectively empty inside – sadly, unable to accomplish the mission for which it was designed. Without the source of its power and stripped of its systems, it is little more than a shell – grounded – despite “functional” wings. It wants to fly – and is certainly trying! Indeed, the poster of this video explains that, on this particular day, the wind speed exceeded 80 knots, enough to show the Boeing engineers knew what they were doing in designing and creating this magnificent machine and equipping her with very effective airfoils. 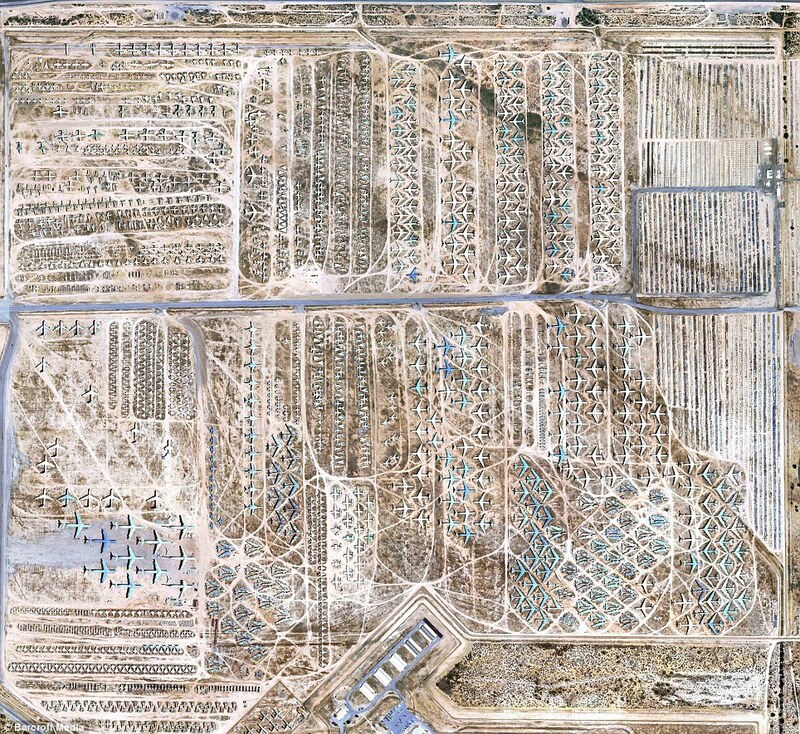 Unfortunately, this aircraft is now sitting lifeless, cast out into the desert – though purchased at a great price – it is interred in a graveyard – “the boneyard.” Since WWII, it is one of thousands of carefully engineered machines – both military and civilian – built for flight, yet parked indefinitely. 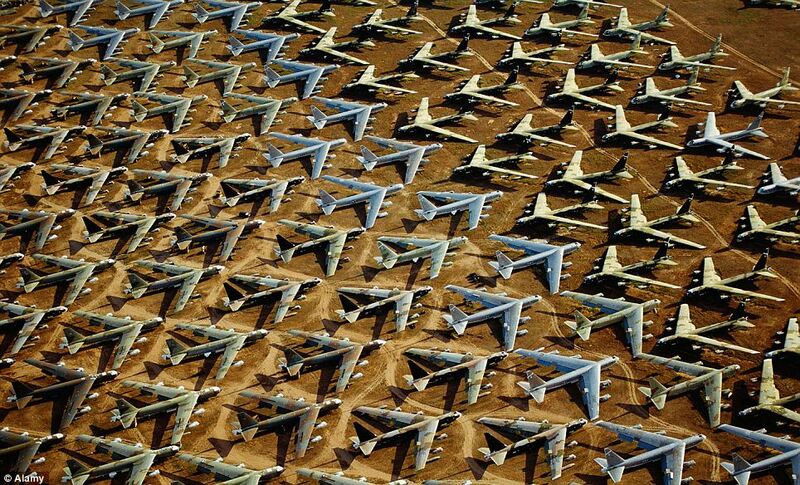 The desert – that great and terrible wilderness, in which were fiery serpents and scorpions and thirsty land where there was no water… (Deut 8:15) – is ideal for boneyards because the dry climate slows deterioration while the dying aircraft await disassembly – to be sold for scrap, their parts scavenged. A graveyard is a place set aside for burial of the dead…despite having so many occupants that appear fit to fly, yet not equipped to do so. Who wants to remain in such desolation? USAF B-52 Bombers on display for post-Cold War Russian satellites. By His death on the cross and through His resurrection, we can have the power of the Holy Spirit living in us: But if the Spirit of Him who raised Jesus from the dead dwells in you, He who raised Christ from the dead will also give life to your mortal bodies through His Spirit who dwells in you. (Rom 8:11) …No de-rated climb power there – simply awesome! With the knowledge…that He who raised up the Lord Jesus will also raise us up with Jesus…Even though our outward man is perishing, yet the inward man is being renewed day by day.. (2 Cor 4:14, 16) Jesus said: I have come that they may have life, and that they may have it more abundantly. (John 10:10) Praise God! Just as an aircraft is made for the purpose of flight, it must be flown as the Designer intended – according to His instructions! And though in Christ we have renewed life, our lives are not our own (Is 58:11-14) – we were purchased at a great price – by His blood (Rev 5:9) – and for His purpose. (Eph 1:11, Mat 28:19) To go our own way…well, we risk ending up in the boneyard!